In order to foreclose on a home in Ohio, a mortgage lender must file a foreclosure complaint with the county court. This gives homeowners an opportunity to save their home by contesting the complaint. If your lender is attempting to foreclose on your home, you should immediately educate yourself about the process and seek the help of expert legal counsel like the attorneys at DannLaw. The timeline below explains how the process works but remember, not all lenders proceed in the same way and situations may evolve differently depending on individual circumstances. Day 1 – You miss your first mortgage payment. Day 16 – Your mortgage lender starts to assess your situation and add late fees to your mortgage bill. Days 45-60 – During this period, your lender will usually send a letter stating that you are in breach of your mortgage contract. This letter will specify options for catching up on payments and what to expect if payments are not forthcoming. Day 120 – Once you have missed three payments, the mortgage lender may move to file a foreclosure complaint at your county’s Common Pleas Court. A copy of the complaint and a summons will be sent to you. At this point you should contact an attorney because you are now dealing with a lawsuit that is actively being processed in the court system. Days 121-148 – You have until Day 118 to file an answer to the summons and complaint with the Court. During this time period you may seek mediation or request additional time to work with your mortgage lender. Days 148- ? – If you filed an answer you may be granted additional time to resolve the foreclosure with your mortgage lender. The lender will then file for a motion for summary judgment. If you do not answer it will be assumed that you agreed with everything in the foreclosure complaint and the bank will win the case by filing a motion for default judgment. If the Court grants either of the motions then your lender will contact the local Sheriff’s Office to schedule a Sheriff Sale. Bankruptcy – At any point in the foreclosure process, you can file for bankruptcy. 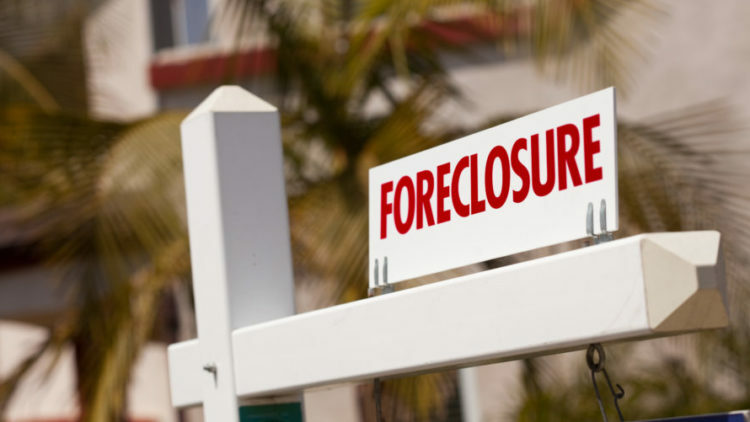 This will stop the foreclosure proceedings. It will not wipe away your mortgage, but it can give you the time you need to get back on track and keep your home. You should consult an experienced bankruptcy attorney to determine whether this is an option and to help you through the process if you decide bankruptcy is right for you. Sheriff Sale – Your house will be put up for auction on the day of the Sheriff Sale. If your home is sold you will not be required to leave immediately. Redemption Period – Following the Sheriff Sale, the sheriff has up to 60 days to notify the Court of the sale. The Court will confirm the sale within 30 days of the notification. The time between the sale and the confirmation by the court is called the redemption period. During this period you have the right to buy your house back for the sale price plus any additional fees incurred during the foreclosure process. The redemption period may be as short as two days or as long as three months. Execution of Writ of Possession – The final step is the execution of the writ of possession. You will be told by the sheriff that you must leave your home or be evicted. The amount of time you will be given to vacate the property varies by county. Foreclosure can be a confusing and intimidating process, so you should consult with experts who know how to help families save their homes. Contact DannLaw today to discuss your case so we can help you understand your options for staying in your home.